It was supposed to be so simple. As we approach the 2 year mark since opening CrossFit Turmoil, its an opportune time to reflect on what has happened in the intervening period and to plan ahead for the future. The original vision was always to be a CrossFit box that thrived on quality coaching, not fancy equipment or vast (and unnecessary) amounts of space. Despite having to move from a martial arts studio after only 3 months, we’ve managed to maintain and build on that original vision in our current space, all whopping 140 square metres of it!!! Despite having one of the smaller CrossFit boxes around, we definitely punch above our weight in terms of member experience and the steady production line of very high level athletes. One thing I guess I never really envisaged was the number of bumps, swerves and unexpected challenges that come with running a gym like ours. And dealing with this has forced me to consistently react to the environment we are faced with and adapt appropriately. Only now, 2 years later, do I feel like we have a framework in place that guarantees the success of all our athletes, regardless of their ability level or reason for training. It’s been quite an evolution, but as we move into the third year of this project, I thought I’d share our new model for success that we have started rolling out in the last month. We love tiered systems here and I believe that categorising the current and future needs and wants of our members is the best way to provide an individualised, specific service to each person involved in our gym. I’d love to provide a coo, info-graphic to display this, but a list will have to do instead!!! This is a new development at CFT and one that we have been testing in August and wil be rolling out in full in September. The needs of our more experienced athletes are very different to those just starting out. Once an athlete has moved beyond the initial rapid progress made by starting CrossFit in a group environment, they will begin to enter an intermediate level “no man’s land”. We are trying to bridge that gap and helping intermediate level athletes move to advanced and advanced level athletes become elite by providing a much more in depth and individualised approach to their training. Without giving away our “secret”, this involves a combination of limited class attendance (or no class attendance for advanced athletes), semi-private training with others at a similar level and an individualised program. I never imagined that we would develop so many quality competitive athletes, but it just so happens that we’ve become pretty good at it. A lot of more established gyms don’t love the new kids on the block knocking firmly on the door, but that shouldn’t deter us and it certainly won’t slow us down! This will always be the most popular program. Why? Quite simply because the group environment allows for the beginner to intermediate trainee to reach their optimal level of fitness in an environment that is supportive, but also highly challenging. This pushes people to achieve new milestones quicker than ever before. For those who want to train for health, well-being and recreation, attending CrossFit will always be the optimal way of achieving this. Our tiered programming system allows for tangible lines of progression and means that there are always opportunities to climb the ladder of success in class. Is it suitable for everyone? Well, despite what many would have you believe, I would have to say it’s not. I’ve changed my tune on this over the last 2 years. CrossFit is hard, there is absolutely no getting around that. Results only come from hard work, but a participant has to be mentally prepared for this hard work. Not necessarily physically prepared, that is taken care of in our Fundamentals program. But if someone can’t mentally commit to how tough CrossFit is in the beginning, then they will almost universally fail to continue. At the other end of the scale, a CrossFit class really isn’t suitable for an athlete looking to compete in the sport and that is why we will always offer the opportunity to graduate to our High Performance Group or to move into our Weightlifting and Powerlifting programs. Having said that, this level is where the magic happens. This is where the decisions are made about why you train, what you are training for and who you are training for. We recently introduced an 8 Week Bootcamp as part of our programs framework. 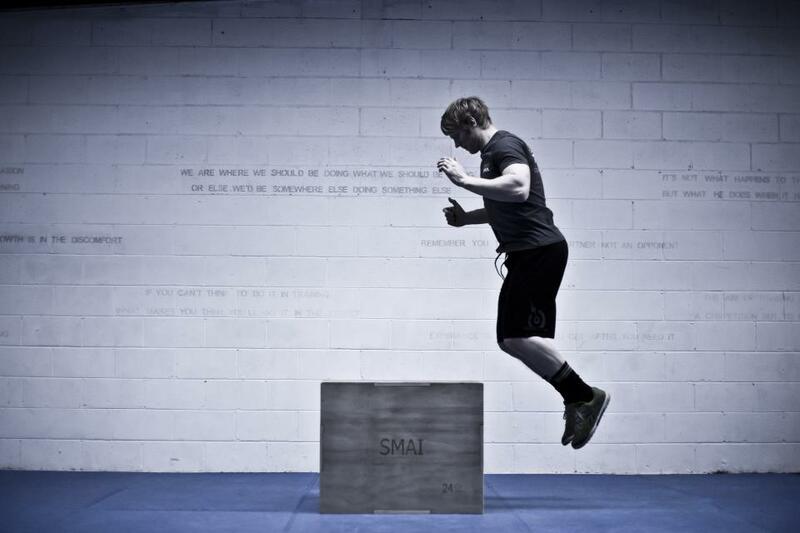 We felt it hugely important to provide a stepping stone into CrossFit or simply an alternative to it. Not everyone is interested in weightlifting & gymnastics, but most people understand the benefits of high intensity exercise. Our bootcamp program allows the opportunity to explore our methods in an environment that doesn’t intimidate. We get it. CrossFit can seem scary. We want to show people it’s not as scary as it looks and give them a tangible way of progressing into a CrossFit program if they feel this is something they’d enjoy. Our bootcamp program also allows athletes who may have pre-existing conditions that render them not quite ready to start a CrossFit program, to start a program of high intensity exercise with a lower barrier to entry. So there you have it. A framework we hope will continue to develop long term success for our ever growing stable of recreational and competitive athletes!